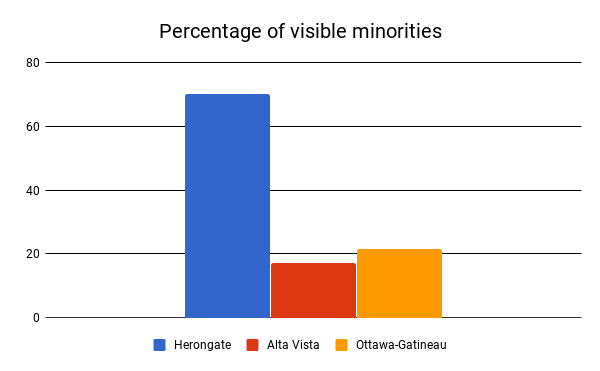 The links between housing, inequality and structural racism are very present in Herongate. 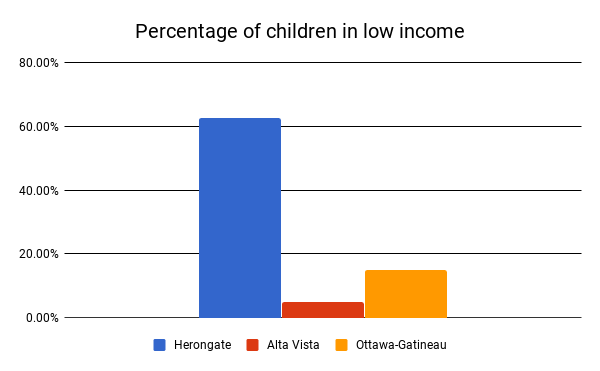 In fact, nowhere in Ottawa are these issues tied so deeply together. 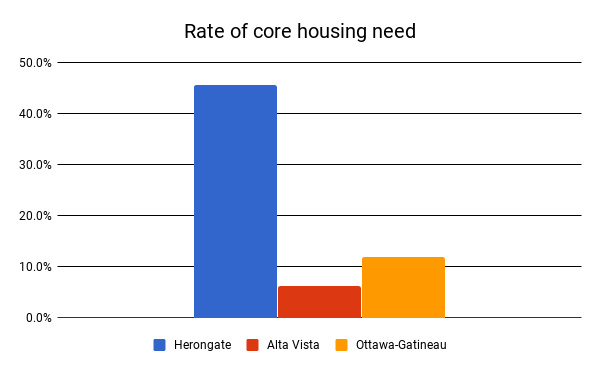 While every level of government and Timbercreek are determined to destroy our neighbourhood, a neighbourhood that should in fact be treasured, celebrated and supported, they fail to realize the organizational capacity we possess and our own determination in fighting to save our neighbourhood. 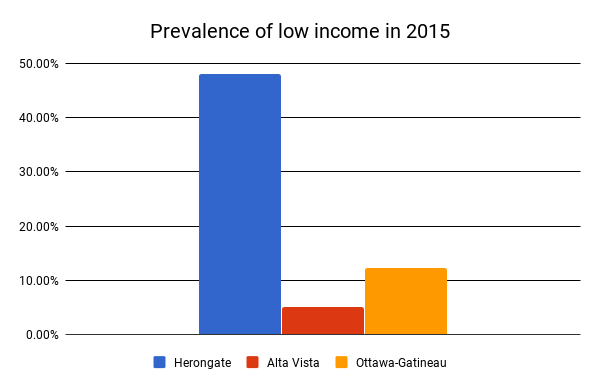 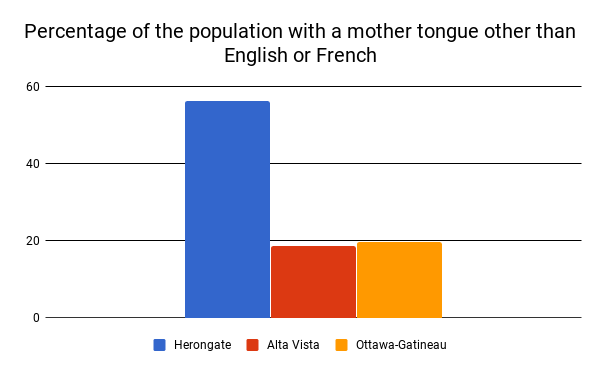 Herongate sits across the street from one of Ottawa’s wealthiest areas – Alta Vista. 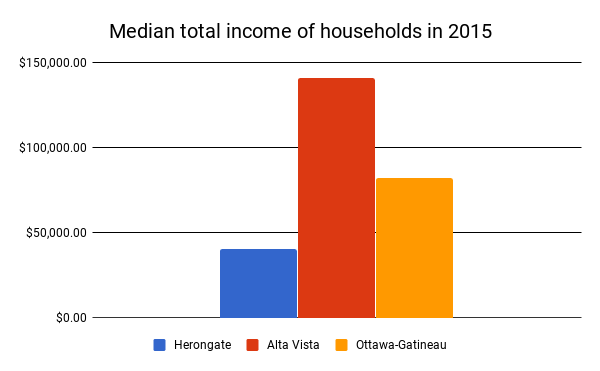 The inequality between these two neighbourhoods is huge. 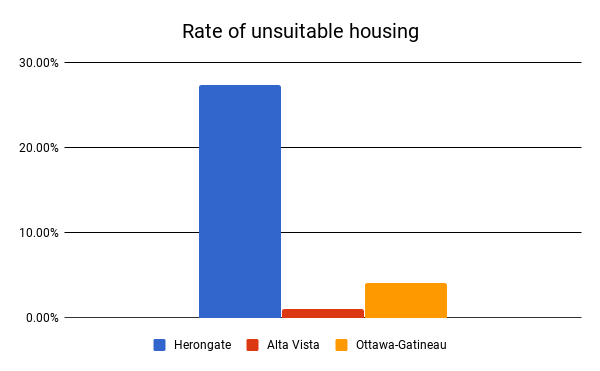 As tenants of Herongate, we have been starved of basic services and have had to put up with Timbercreek, an abusive slumlord, for far too long. 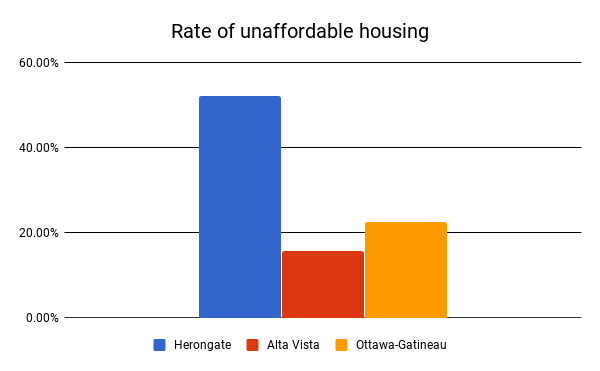 Scroll down to see the ties between poverty, housing and racialization in Herongate through statistics.